About a year ago, Princeton philosopher Robert P. George came to Chapel Hill, North Carolina to speak about civil discourse and diversity of thought with the UNC system Board of Governors. 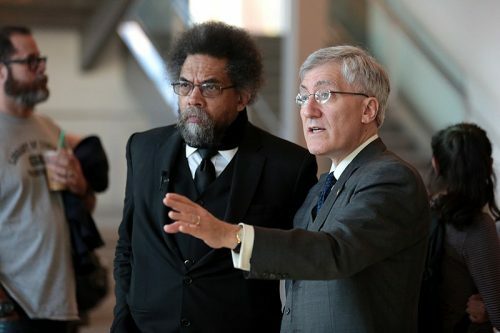 He returned on February 8, but this time he came with Cornel West, a long-time friend and philosopher at Harvard University, as guest speakers for Duke University’s Kenan Distinguished Lecture in Ethics. Instead of directing their message to policymakers, George and West came to speak face-to-face with students, faculty, and local citizens. The two spoke about how they navigate their vastly different political views while maintaining a strong friendship, a skill seemingly rare on most college campuses. Their message and example isn’t just a much-needed antidote to an increasingly polarized culture, either. It also contains an essential ingredient for what George and West call a “deep education:” the desire to be challenged in one’s most fundamental beliefs. [Our interlocutors] are friends precisely because they challenge our beliefs and question their presuppositions. If we are in error, they can help lead us in the direction of truth. If we are on solid ground, engaging people who disagree will deepen and enrich our understanding, even if they are the ones in error. Even people who profoundly disagree can form what Professor Cornel West and I call “the bond of truth seeking.” It can provide a secure basis for deep friendship—friendship built around the collaborative (if dialectal) pursuit of a common objective, a common good. The notion of respecting and befriending those with different opinions, however, is not unique to George or West. Their ideas are rooted in the philosophies of both Plato and John Stuart Mill. If the opinion in question is right, [the dissenters] are robbed of the opportunity of exchanging error for truth; and if it is wrong, they lose a benefit that is almost as great, namely the clearer perception and livelier impression of truth that would come from its collision with error. Even though West says that true friendship “cuts much deeper than any agreement on policy,” the professors’ differences in political views should not be downplayed. As philosophers, they don’t just disagree on mere policy issues—they’ve dedicated their lives and their professions to deeply examining the underlying principles that guide various bodies of social, moral, and political thought. Arguably, the two professors became friends because of their fundamental differences of opinion. It all began when the Princeton student newspaper planned a feature where one Princeton professor would interview another. The newspaper asked West to act as the interviewer and choose any professor. Even though they were only acquaintances, West chose George. The two ended up talking and debating for hours—well past the parameters of the interview’s length. Since then, the self-described “radical democrat” and the stalwart traditional conservative have been close and trusted friends. Over the years, they have taught a Great Books seminar together designed to teach students to look at issues from multiple points of view. Each professor chooses six primary texts for the students to read including Sophocles, St. Augustine, John Dewey, and John Stuart Mill. 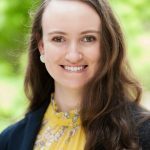 Another promising project out of POLIS is the “Devil’s Discourse” podcast, which records Duke students participating in civil discussions on contentious issues such as abortion, taxes, and immigration. While coordinated events may facilitate a culture of friendly dialogue across ideological lines, the majority of students don’t need officially organized programs to find their “Robby George” or “Cornel West.” There are countless opportunities every day to talk with an ideological opponent—whether it be a classmate or someone handing out fliers on campus. However one finds these encounters, the importance of cultivating friendships with those of different convictions is vital for true learning to take place. And as academics in a field dedicated to debating ideas, George and West are an ideal example of the traits all discourse—and friendships—on college campuses should have: rooted in a love of truth over opinion and a respect for the other’s common humanity.